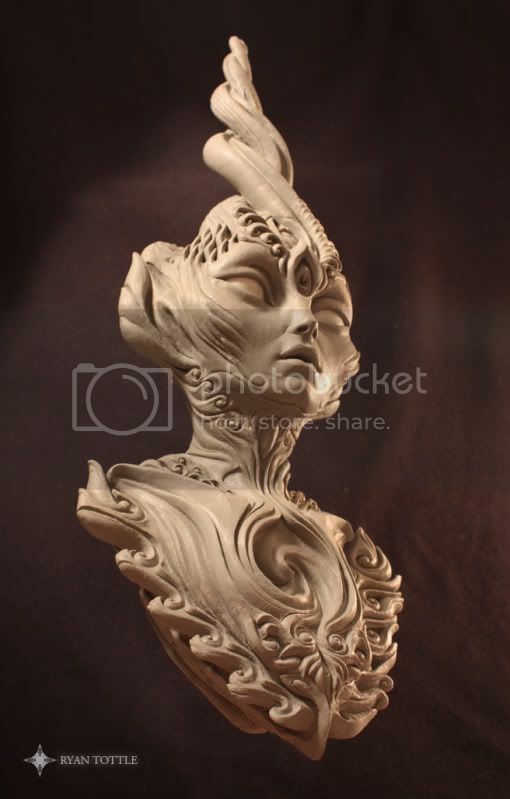 Here are some photos of my WIP sculpture 'Conscious Feminine'. I've yet to assemble it to completion. This idea of 'Visionary Sculpture' is a tactile, tangible way of honoring the sacred, through sacred arts. Though this is a paradox, it's thought to be impossible to reproduce higher dimensional detail, here in the third. Sacred space exists everywhere in all forms, and this piece is as close as i could come at the time to displaying a facet of that. Blessings to all of my new Pod family, and thank you Phong! It's great to have a rocking sculptor sharing in the pod again. Detailing on the first piece is hyper-galactik. I'll have to attach these eventually. I've been working mostly on my cg sculpts for a while. Btw, this entire site is eye candy! Beautiful! Those are some really nice sculpts. Very nice design and anatomy. The female has a nice oceanic feeling. I like those penguins on your blog as well. 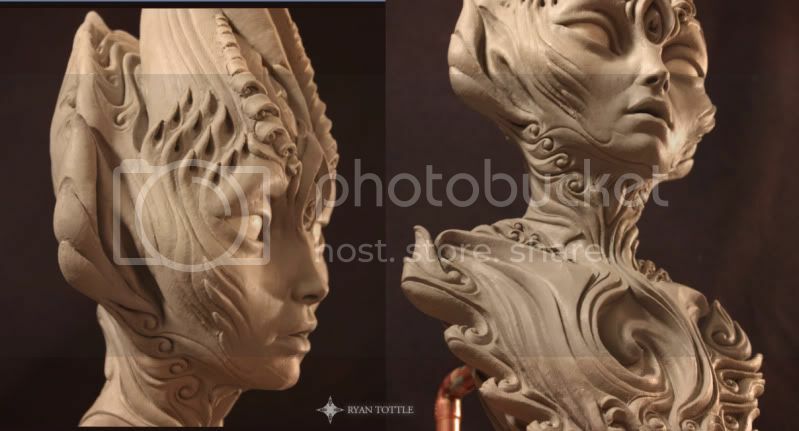 Would love to see some of your digi-sculpts when you are up for sharing. Thank you Erik, I looked at your cg work, very nice! unique and Hi-tech. Looks like another species of reality. All I can say is WOW! 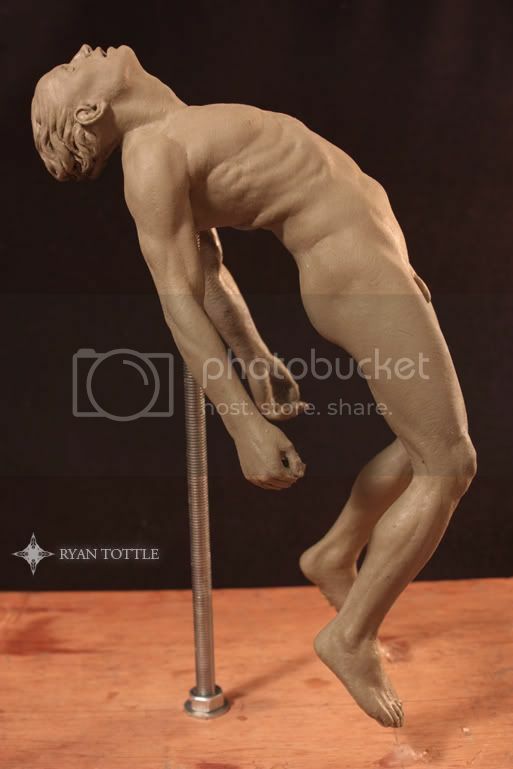 Wonderful sculpt! 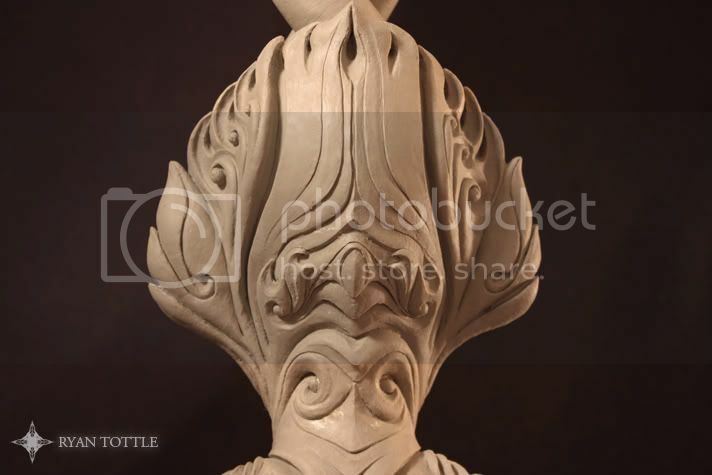 I'm really diggin the Balinese flow; your use of recursive organic shapes is impressive! 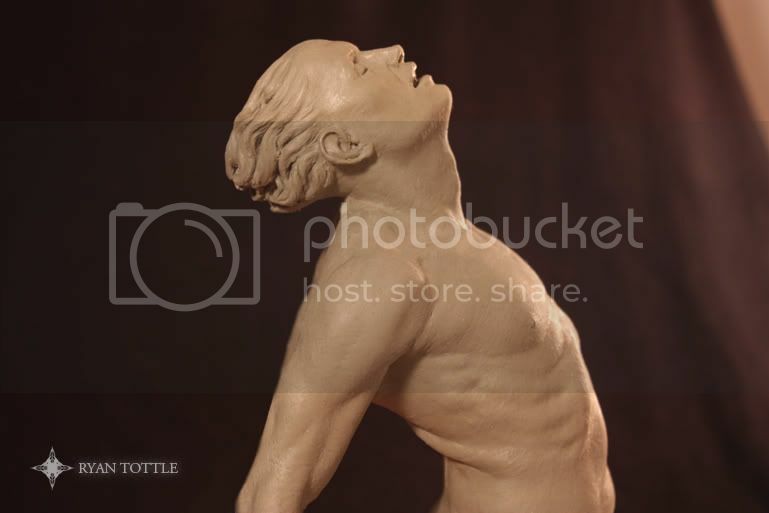 What is this sculpted from? Thanks for sharing this. Will these be colored or painted? (They look awesome with out color, just wondering.) Keep it up! Thank you psybe. You have beautiful work! 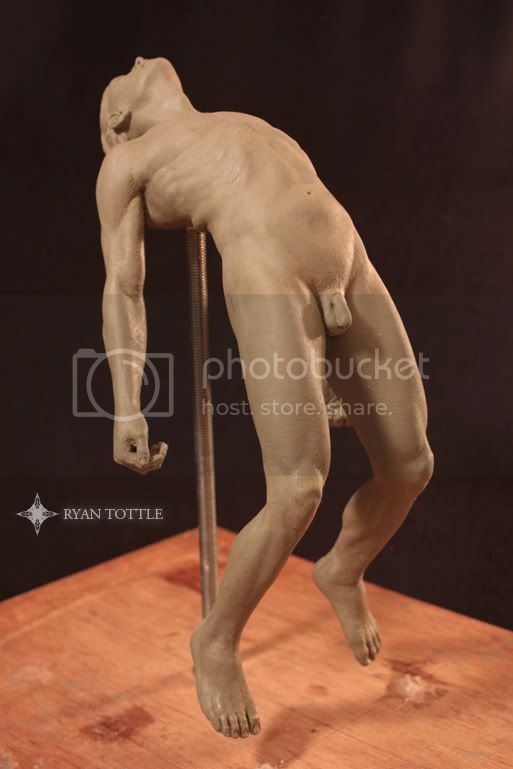 I sculpted this in Chavant NSP, an oil based clay. It's one of my favorite clay mediums. I recall it being invented, or used, mainly during the years in which vehicle prototypes were sculpted fullsize before manufacture. It holds shape and detail well. I used it a lot for Tv and film productions. She has been casted in a marble color, though I too like sculpture without color, just in its raw form seems to celebrate its nature. Shemyad your art is reallllly inspiring! 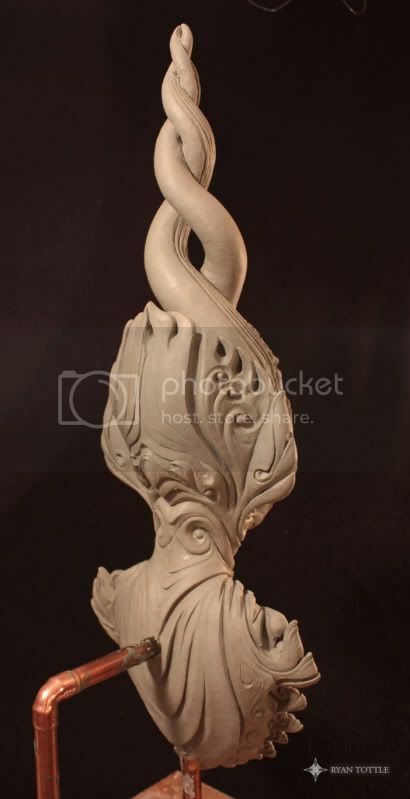 The conscious feminine hits me at the core It makes me want to get my hands on clay again! Do you work in Zbrush by chance? Hi Kala, Yours is inspiring too! I'd love to see some of your clay work. I'm working in zbrush right now. sweet!! Yea Ill post my two fav sculptures I did. And I'm working on a zbrush bust of Johnny Depp and would Looove a Critique by you.